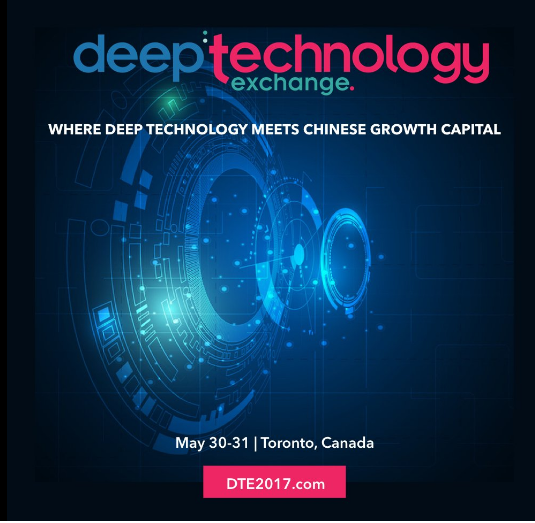 Synced invites you to join us at How Will AI, Machine Learning and Quantum Computing Shape the Future panel at Deep Technology Exchange, and further the discussion in Toronto, Canada on May 30-31, 2017. In 2016, AI attracted wide spotlight when Google DeepMind’s system AlphaGo beats Korean 9 dan go player Lee Se-Dol. The emergence of artificial intelligence research has a long traceable history. The entire field has been through numerous ups and downs for R & D and commercial application. It touches upon the interdisciplinary discussion of philosophy, ethics, mathematics, mechanics and neuroscience. In the near future, it is foreseeable that AI will achieve general intelligence. Using the big data and processing power of GPU today, the next AI winter will probably not come. Instead, machine learning will help countless businesses re-invent themselves. There are currently approximately 160 AI startups and tens of research facilities in Canada, supported heavily by the federal, provincial and municipal government grants. There are many problems traditional computers can’t solve like quantum entanglement, macromolecule chemical reactions. The solution to these dilemma is quantum computer. Quantum computers are not traditional binary digital electronic computers that operate based on transistors, it uses quantum bits instead of binary digits (bits) that can only have two states (0 or 1) and performs on the basis of exponential powers. At the moment, the application of quantum computing remains limited. The most immediate ones that have great commercial value include: quantum simulation, quantum assisted optimization, and quantum sampling. DTE 2017 brings together deep technology and growth capital, connecting North America’s most innovative tech startups with China’s influential and strategic capital partners. The program combines thought leadership, pitching, deal exchanges, mentoring and networking into two full days to maximize new partnerships. May 30 features pitches / demos from companies seeking growth capital, Canadian tech success stories from Interaxon, Rubikloud and Miovision, and panel discussions on AI, machine learning, digital health and cross-border investments. International investors include Baidu Ventures, Bank of China, Tsinghua Holdings, Hong Tai Fund (AngelPlus) and many more. May 31 is an exclusive invitation-only series of deep dives and due diligence reviews between pitching companies, investors and strategic partners followed by a VIP Banquet Dinner. Great article.The field Machine Learning & artificial intelligence is not creating a general intelligence that can solve problems in any domain like a human, but domain specific problem where you can not take the simple solution of just calculating all solution and taking the best and you can choose the best quantum computer that have a great commercial value that could explore every branch simultaneously. Thanks for sharing such a nice article with us on Synced X DTE: How Will AI, Machine Learning, and Quantum Computing Shape the Future?